R4i Writer PE is the most advanced XML Authoring Tool for Technical Writers required to create mission critical content. Write S1000D data modules faster with drag and drop references, automatic hotspots and live document previews. R4i Writer includes IETP preview and PDF publishing capabilities. 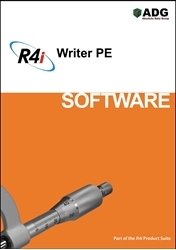 R4i Writer PE® is optimized for the S1000D data formats and installs “Ready to Write” with schemas and stylesheets for S1000D versions 2.0 to 4.2 included. With DM Drive fully integrated within R4i Writer PE, authors can now be creating high quality S1000D operational and maintenance information within minutes. R4i Writer Personal Edition allows authors to work in a native XML authoring environment with IETP preview and PDF publishing capabilities, eliminating the need for authors to use multiple S1000D tools.